First of all it needs to be clarified there are two Classic Bike championships in Belgium. 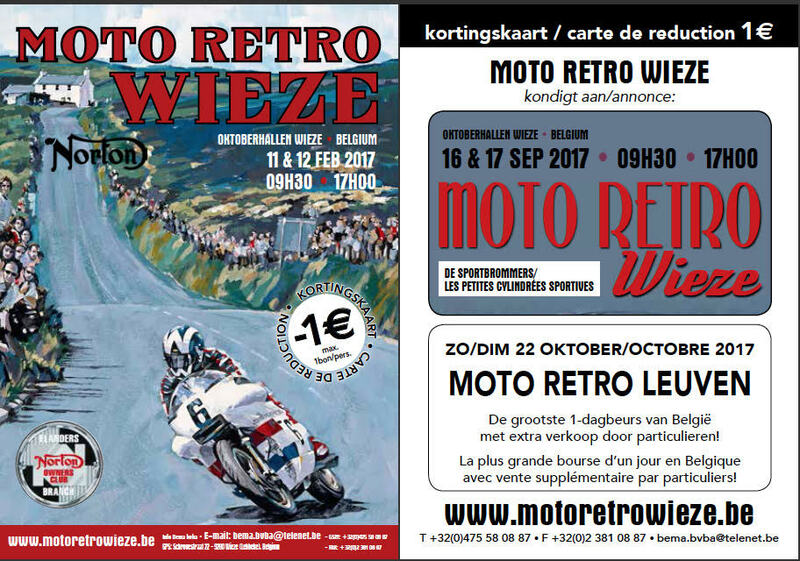 There’s the FMB/BMB Classic Bike Championship, being the official Belgian Championship installed by the national motorcycle federation. Secondly we have the CRMB Challenge, being a club championship. The FMB/BMB Classic Bike Championship entitles people to carry the official name of «Belgian Champion». This championship goes over all the races mentioned in their official yearly calendar. First, pilots participating in one or more races with a one day only license are excluded for marking championship points. Second, series are regrouped in «Classes». 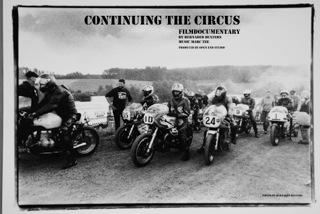 Class 1 for example consists of the following series: 50cc, Vintage Gr1, Vintage Gr2, 200 Gr1 & 200 Gr. During each race there is a scoreboard for each series (remember: ONLY pilots with a year license are taken into account to mark points). At the end of the season, all points of each series are integrated into one single classification for which the final winner (pilot who marked most points, logically) receives the title of Belgian Classic Bike Champion, the winner of Class 1 in our example. Then there’s the CRMB Challenge, which is a still existing non-official club championship because it existed long before the FMB/BMB Classic Bike Championship. Particular for the CRMB Challenge is that ALL license holders (year license AND one day only license) are taken into account to mark points but only in strictly Classic Bike events ONLY, organizing races for ALL series (in 2016 this was the case for Croix, Chimay & Gedinne). There is a final winner for EACH series as long as this winner raced his series in at least two of the three events. For a certain pilot X there is a clear difference between the scoreboard (and the obtained points) in the FMB/BMB Classic Bike Championship and the one in the CRMB Challenge as pilots racing with a one day only license ending up higher then pilot X are excluded from marking points in the FMB/BMB Classic Bike Championship but are taken into account to mark points in the CRMB Challenge. Example : pilot X disposes of a year license. In a certain event he finishes 5th in his series but 2 pilots both racing with a one day only license end up 2nd and 4th. For the FMB/BMB Classic Bike Championship pilot X will be considered to claim the 3rd place, taking 16 points, as pilots with one day only licenses are excluded from marking points. For the CRMB Challenge pilot X will mark only 11 points, for the 5th place, as here ALL license holders can obtain points. Second important note to explain the reason for the different approaches between the 2 championships. – The Belgian Federation aims to favor holders of a year license. That is why pilots racing with a one day only license are excluded from marking points in their championship. At the end of the racing season the Belgian Federation regroups several series into one single class because if not there would be to many national titles which would bring down the valor of being a Belgian champion. Plus, in certain series, pilots are way to few to be able to talk about a real competition. The integration of series into one single class also gives the opportunity to older machines (generally in Gr1) mostly being less performing to nevertheless win a national Classic Bike championship. – The CRMB Challenge prefers regularity to pure power but wants to offer the chance to ALL pilots to go for the title, whatever kind of license they may hold. On technical and historical grounds we find it not logical to regroup several to different series into one class. This may all seem very confusing but it proves to be effective and honors all racers in both championships. Another important problem arises when talking about the responsibility of organizing the events. Lots of pilots are confused of the difference between the BMB/FMB (the Belgian national federation) and the CRMB. The CRMB is NOT the organizer of the National Belgian Championship, it is indeed the Belgian federation which is. 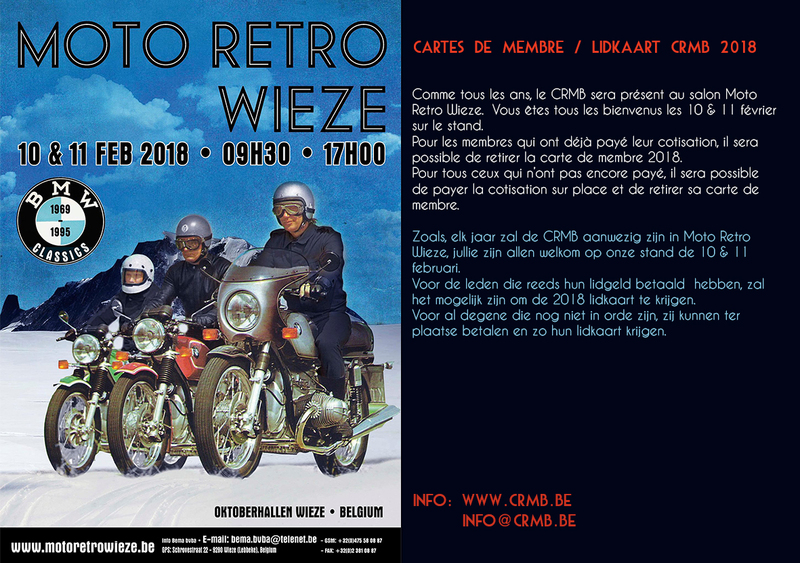 We as CRMB simply organize 2 races for the national Belgian championship: the Belgian Classic Trophy at Gedinne and the Belgian Classic GP in the framework of the Biker’s Classic, but make no mistake: of course we maintain our own old CRMB Challenge. Thus said, we hope to have given you all a more clear view about both Belgian Classic Bike championships.